DNS – Did Not Start. Certainly not as ominous an acronym to me as DNF (Did Not Finish), but it’s one set of three letters that I wish didn’t appear next to my name (in my imaginary records…) as often as it does. I mentioned Saturday’s WFPL 5K that I didn’t get to run in my last post, and it got me thinking about all the other races I had signed up for and never got to run, for one reason or another. Some races I’m not too heartbroken about, but others still bum me out a little. In either case, it’s still disappointing that a) I wasn’t able to participate, and b) I spent money on registration fees that ended up being for naught. I am thankful that (thus far!) I haven’t had to DNS a race I had been specifically training for… all my DNS races were just 5ks for fun. I signed up for the Reggae Ramble as soon as registration opened, and then succumbed to my back/neck/shoulder injury that plagued me for part of May and all of June last year. I might have tried walking it so that I would still have a chance at the jacket, but Colin hadn’t signed up for it and I didn’t feel like driving out to the start line and painfully walking the course alone just to get a jacket that might not even be all that great. So I just didn’t show. I think it ended up being for the best, as I only ran one more race in the series. No heartbreak here. This is one race I’m really sad I didn’t get to run. 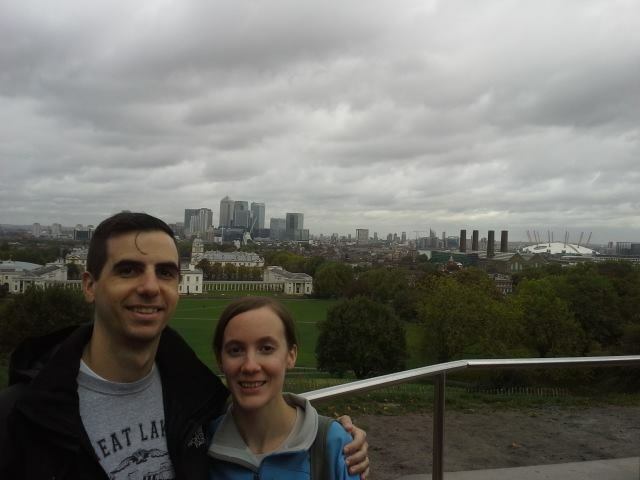 Drew and I splurged on a trip to London to see a Spurs match at White Hart Lane (not knowing if we’d get another chance before the club moves to their new stadium… whenever that might happen), and I got the idea in my head that it would be incredibly cool to run a race in another country. I hunted around the web and found the Poppy Run, which was going to be held in several cities across the UK, including a few different London locations. I signed up for the one on the Isle of Dogs and got increasingly giddy about it as our trip drew nearer. Then, at the end of August, I got an email from the National Director of the run saying that my race had been canceled due to the ill health of the local organizer. I was gutted. I’d be lying if I said I wasn’t sad about missing out on getting a race shirt and medal from another country and bragging about it on facebook, but I sent my best wishes to the organizer and tried to focus on the positives. For one, it would mean less things to pack (one less pair of shoes! ), and for another, it gave us the chance to spend a day with my friends Adrienne and Zach who came down from Yorkshire to see us. Plus, in the end, Spurs’ Europa League schedule forced our match to move from Saturday to Sunday, the day of the race. Had the race gone on as planned, I would have had to travel to the Isle of Dogs, run, travel back to our hotel to shower and change, and then get to Tottenham as fast as possible so we didn’t miss kick off. It ended up being a much less stressful trip, but I’m still a little sad that my first international race never happened. 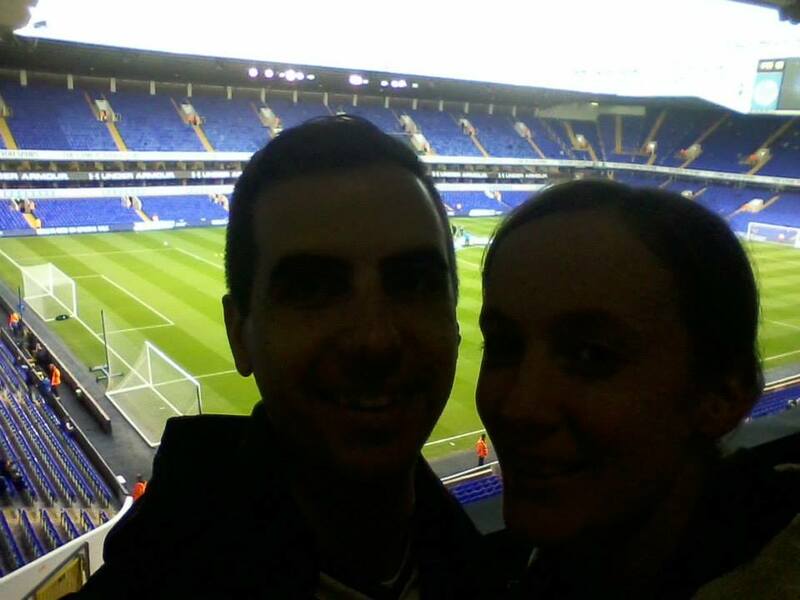 It’s a crap picture, but I swear that’s Drew and me at White Hart Lane! I signed up for this race with Colin and Gina as a sort of reprise of the Ras 9 months earlier. It was going to be on the same course, and after almost a year of training and running other 5Ks, I was excited to see how my time would compare to that of my first-ever race. However, as race day approached, so did a snowstorm and the race was postponed a week… to a day when I was going to be in California visiting my in-laws. Alas. I was bummed to miss a race with Gina, but I got to run a Californian race of my own so not all was lost. This race I was definitely bummed to miss. This was going to be my first race hosted by the Shammies that I would be running as a Shammie, and I was sad that I missed out on the camaraderie and my first opportunity to rock my run club singlet with the rest of run club. On the positive side, missing the race meant I was able to attend my BFF’s baby shower without having to be late because I’m a lame friend obsessed with running. So there’s that! Sigh. Running? I dig it (obviously… hence this blog). Libraries? Always near and dear to my heart; my mom’s a librarian, I’m a librarian, I grew up in my local public libraries, and a fundraiser for a public library – especially one I used to frequent in a city where I used to live – is something I can get behind. Combine that fundraiser with a 5K race and I’m so in. Unless, of course, I’ve already got plans to visit my mother-in-law in New York City, forget about those plans, sign up for the race anyway, and then feel sad. So it goes, eh? That’s it… hopefully I’ll be able to keep my DNS count to a minimum going forward! 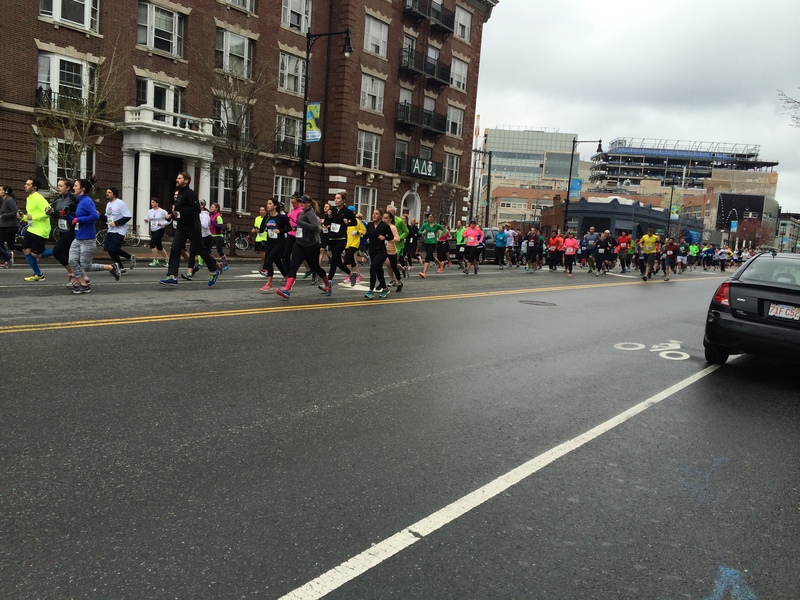 Have you ever had to miss out on a race that you had registered for? Do you not-so-secretly race for the medals and t-shirts like I do (at least sometimes)? This entry was posted in injuries, races, reflections, travel and tagged 5K, DNS, races, road races, running by dgobs. Bookmark the permalink. I’ve only had one DNS – this past February I was supposed to do a 5K in Foxboro, but we had a blizzard the night before and there was no way I was driving 45 minutes each way on unplowed roads, to run on unplowed, icy roads. So I stayed in my cozy warm house and didn’t feel bad about it at all! The one thing that keeps me from going crazy about losing that much money is that, for most of the races, part of the registration fees were either going to charity or to benefit something I support, like a library or Boys & Girls Club. And for the others, I either showed up to cheer and got my swag anyway, or friends who ran brought home my swag, so not *too* much was lost. Still bothers me that I have so many, though! I don’t blame you for your DNS… I would have made the same decision! Fingers crossed you won’t have to miss a race! I am also lucky at ever having a DNS – but I tend to plan out, and have really not done that many races due to family schedules. My biggest regret was having to give up a slot (made it on wait list, had to decline) because of vacation plans we made. Planning out is probably the way to go… I tend to get so excited about races that I sign up for a bunch way ahead of time (also to make sure I get a t-shirt if they have a “first 100 to register” situation…). I need to get smarter about that! I’m with you on the race tech shirts – always a nice bonus to the swag!